We perform a detailed analysis of lepton flavour violation (LFV) within minimal see-saw type extensions of the Standard Model (SM), which give a viable mechanism of neutrino mass generation and provide new particle content at the electroweak scale. We focus, mainly, on predictions and constraints set on each scenario from μ → eγ, μ → 3e and μ − e conversion in the nuclei. In this class of models, the flavour structure of the Yukawa couplings between the additional scalar and fermion representations and the SM leptons is highly constrained by neutrino oscillation measurements. In particular, we show that in some regions of the parameters space of type I and type II see-saw models, the Dirac and Majorana phases of the neutrino mixing matrix, the ordering and hierarchy of the active neutrino mass spectrum as well as the value of the reactor mixing angle θ 13 may considerably affect the size of the LFV observables. The interplay of the latter clearly allows to discriminate among the different low energy see-saw possibilities. R. Akhmetshin et al., Letter of Intent for phase-I of the COMET experiment at J-PARC, http://j-parc.jp/researcher/Hadron/en/pac1203/pdf/COMET-PhaseI-LoI.pdf, Japan March 11 2012. Mu2e: muon-to-electron-conversion experiment webpage, http://mu2e.fnal.gov/. Project X: a proposed proton accelerator complex at Fermilab webpage, http://projectx.fnal.gov/. 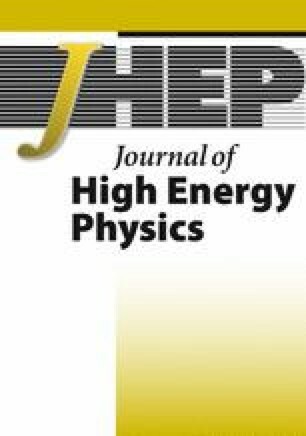 SuperKEKB Physics Working Group collaboration, A. Akeroyd et al., Physics at super B factory, hep-ex/0406071 [INSPIRE]. SuperB collaboration, M. Bona et al., SuperB: a high-luminosity asymmetric e + e − super flavor factory. Conceptual design report, http://www.pi.infn.it/SuperB/?q=CDR, INFN, Pisa Italy (2007), pg. 453 [arXiv:0709.0451] [INSPIRE]. M. Gell-Mann, P. Ramond and R. Slansky, Complex spinors and unified theories, in Proceedings of the Supergravity Stony Brook Workshop, P. Van Nieuwenhuizen and D. Freedman eds., New York U.S.A. (1979) [INSPIRE]. T. Yanagida, Horizontal symmetry and masses of neutrinos, in Proceedinds of the Workshop on Unified Theories and Baryon Number in the Universe, A. Sawada and A. Sugamoto eds., Tsukuba Japan (1979) [INSPIRE]. J. Chakrabortty, P. Ghosh and W. Rodejohann, Lower limits on μ → eγ from new measurements on U e3, arXiv:1204.1000 [INSPIRE].